I thought I’d better post some of the recent recipes I’ve made before I get too far behind — especially since the weather is warming up, the snow is melting and I might be able to do some yard work soon. This Balsamic and Rosemary Chicken Breasts recipe by Primal Palate is a recipe that’s a keeper because of it’s simplicity. Who wants to spend a lot of time in the kitchen when they get home from work, right? The ingredients are so ho-hum simple. 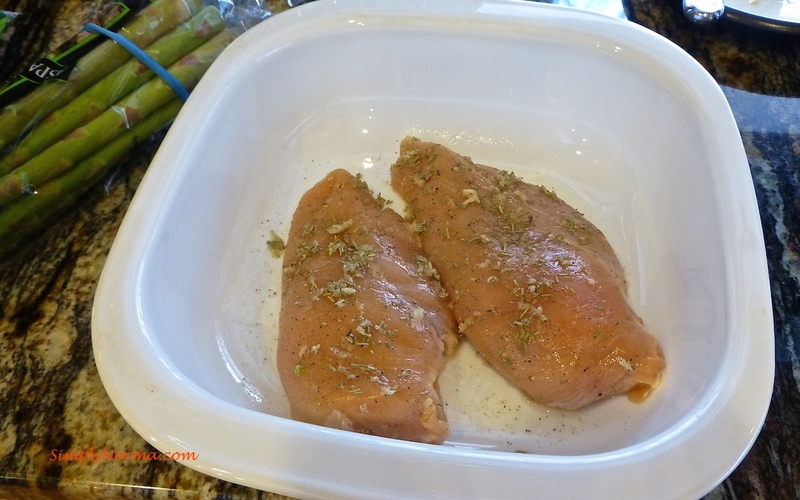 You’ll be preparing the chicken breasts and putting them in an oven proof dish. Before you plop this dish in the oven, you’ll want to make sure you cover it with aluminum foil (that keeps the chicken breasts from drying out). Then you’ll be baking them, preparing a side dish and in no time at all you’ll be eating. 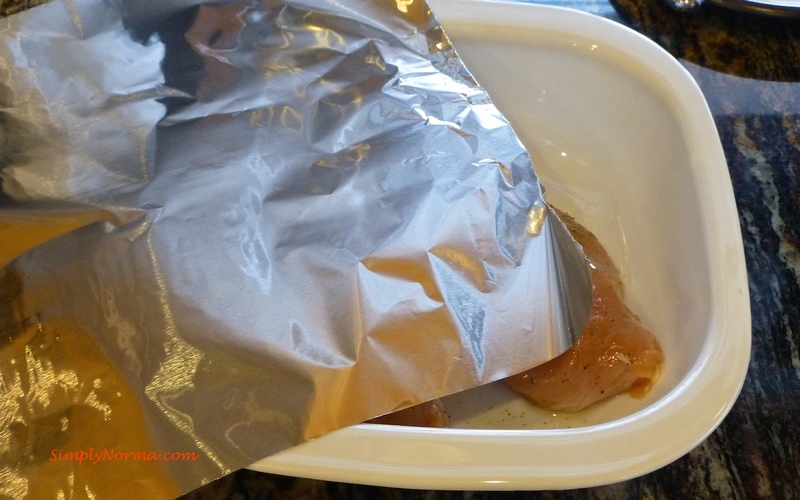 Rinse the chicken breasts under cold water, pat them dry with a paper towel, and place them in a baking dish. Drizzle olive oil over the chicken breasts and lightly rub to evenly distribute the oil. Sprinkle salt and pepper over the chicken. 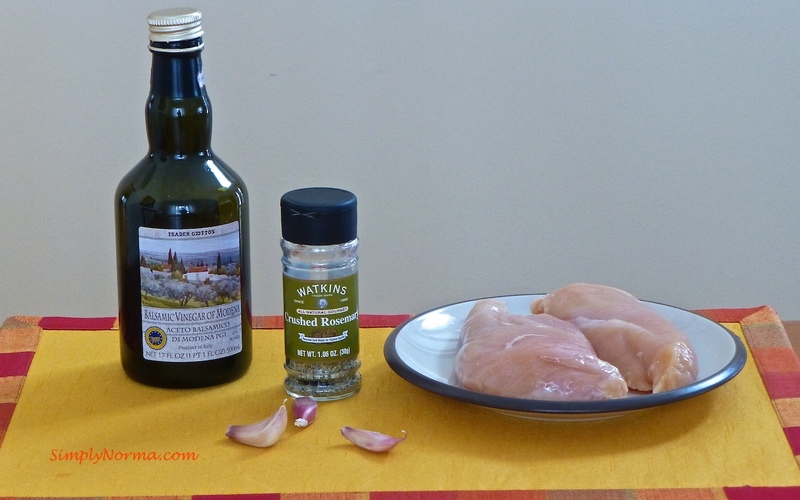 Press fresh garlic and rosemary onto the chicken breasts. Bake at 400°F for about 20 minutes (convection oven) or until the internal temperature is approximately 170°F. 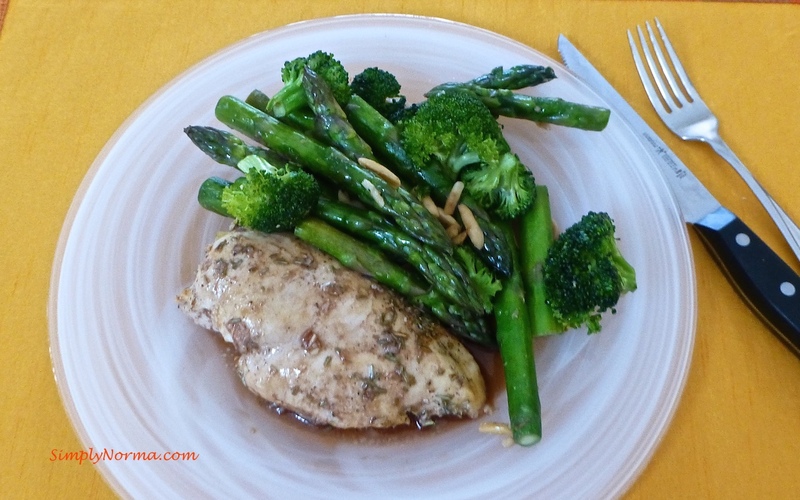 Remove the chicken from the oven and pour the balsamic vinegar over the chicken breasts. I’ve also stuffed the chicken with minced garlic, aged parmesan cheese and crushed rosemary then put salt and pepper on the top. It came out pretty good.